Looking for an eye-catching flattering look? Try a tailored striped shirt. Cut and sewn to your individual measurements, a tailored striped shirt perfectly compliments the natural shape and contours of your body. 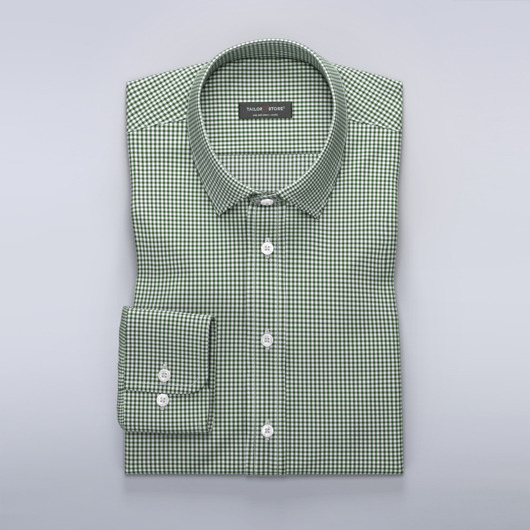 For an elegant tapering effect, explore narrow vertical stripes. 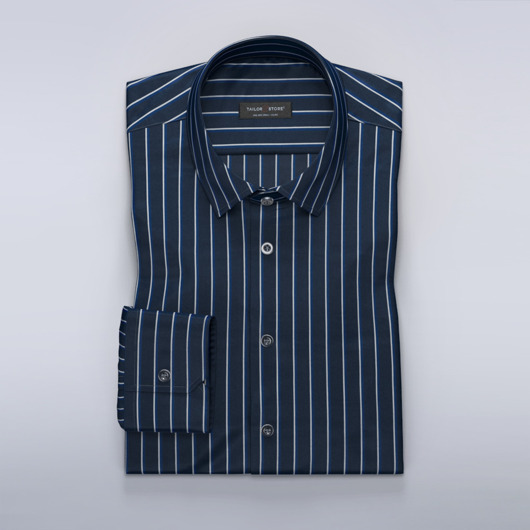 Made to measure shirts with thin stripes, widely known as pinstripe, are guaranteed to give a more athletic appearance. 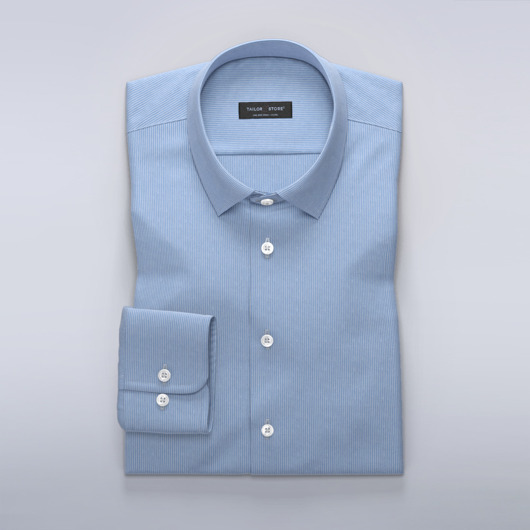 Wider striped tailored shirts give the same result, but to a lesser degree. Our collections of striped shirts contain both classic "stripes" and modern stripes. For tailored striped business shirts we recommend pinstripe, hairline stripe, or dress stripes on a white or blue background. Other alternatives for office wear include multi-track stripes, chalk stripes and hairline stripes. For more relaxed casual looks, explore rugby stripes, and wide vertical stripes in non traditional colours.